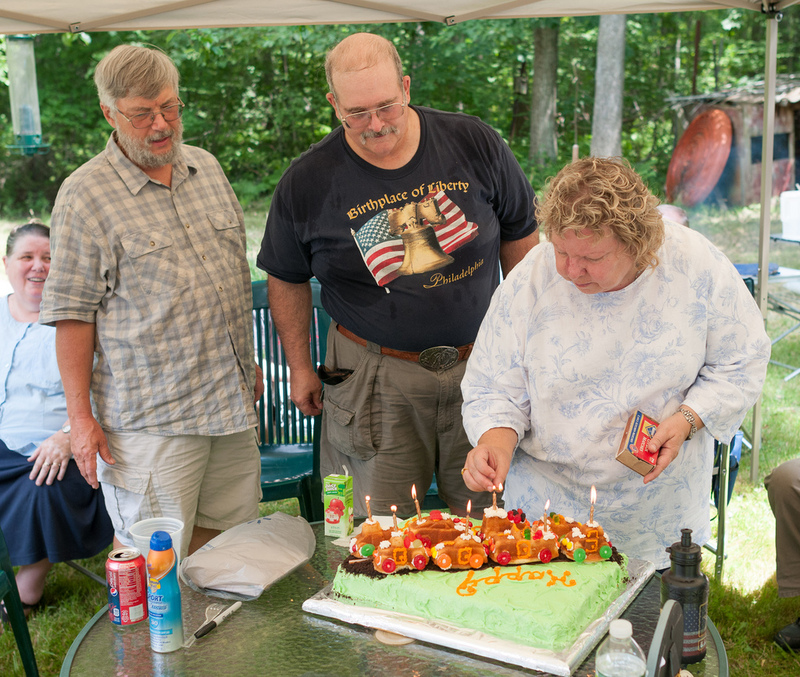 On Saturday at my parent’s annual 4th of July picnic we also celebrated my Dad’s 60th birthday. My Dad’s cousin Cathy made a cake for the party — eight cars driving across the cake, decorated with gummy bear drivers, gummy life saver wheels, and all sorts of other candy decoration. Today is my Dad’s actual birthday, so: happy birthday Dad!